The Year In Review, 2018: Blowhards At Bay? Last year’s recap was subtitled “Fighting against the normalization of lying”. At least this year, lies are called lies. 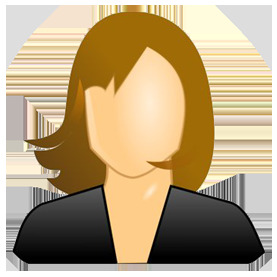 Now it’s time to shun the liars, and relegate them to where they belong. January: Stephen Moore continues to lie and lie and lie, as shown in “Further documentation on Stephen Moore is a liar.” He says the Federal deficit is a trillion dollars when it’s been nowhere near that. 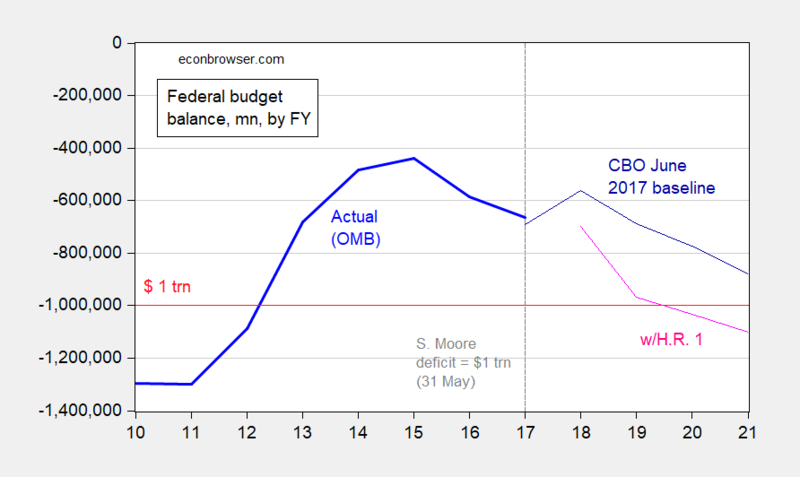 Figure 1: Federal budget balance as reported by OMB (bold blue), and CBO projection (dark blue), and implied budget balance under HR 1 Tax Cuts and Jobs Act (pink), in millions of dollars by fiscal year. Source: OMB via FRED, CBO. February: Trump’s economics team projects an incredible (in the literal sense of the word) acceleration in productivity. 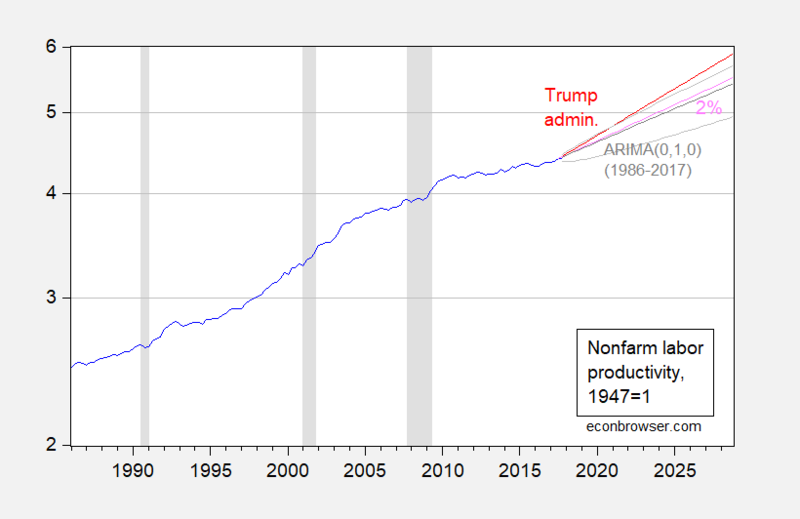 Figure 2: Nonfarm real output per hour, 1947Q1=1 (blue), Trump Administration forecast of 2.6% (red), historical average (1953Q2-2017Q3) growth rate of 2% (pink). NBER defined recession dates shaded gray. Source: BLS via FRED, NBER, CEA and author’s calculations. March: Recounting Kudlow’s (truly amazing) forecasting record. I have no doubt this record will continue to grow. 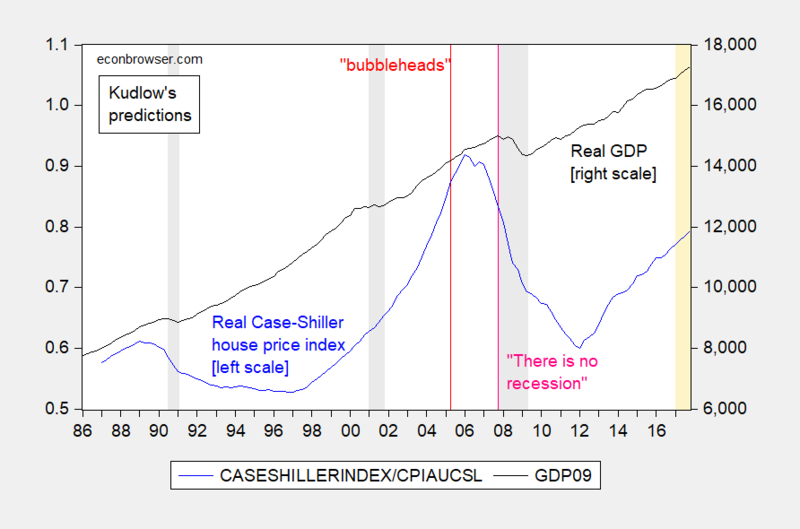 Figure 3: Case-Shiller US National Home Price Index, s.a., deflated by CPI-all (blue, left scale), and real GDP, bn. Ch.2009$ SAAR (black, right scale). NBER defined recession dates shaded gray. Red line at 20 June 2005 comment on the housing bubble, and pink line at 7 December 2007 on recession. Source: S&P, BLS via FRED, BEA (2017Q4 2nd release), NBER, and author’s calculations. April: You can’t cite an index without some crazy person saying the index is “liberal”. 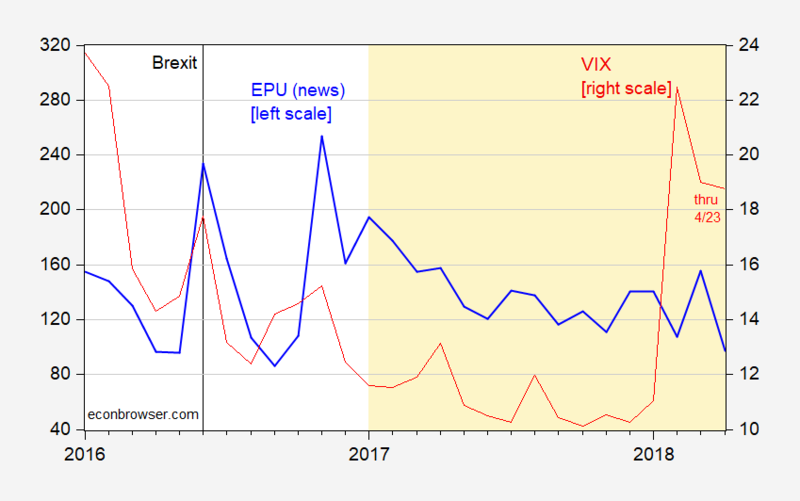 Behold, by the critics’ criterion, the VIX is suspect. Round up the S&P500! Figure 4: Case-Shiller US National Home Price Index, s.a., deflated by CPI-all (blue, left scale), and real GDP, bn. Ch.2009$ SAAR (black, right scale). NBER defined recession dates shaded gray. Red line at 20 June 2005 comment on housing bubble, and pink line at 7 December 2007 on recession. Source: S&P, BLS via FRED, BEA (2017Q4 2nd release), NBER, and author’s calculations.